TCU Music Together® Babies Class is designed for parents/caregivers and their children 8 months or younger. All children benefit developmentally from early exposure to music and movement. 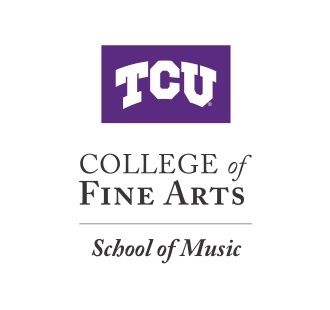 Because the early months are so important, TCU Music Prep offers two options for babies. Children 4 months or younger may attend for free with an older sibling registered in a Mixed Ages Class. Children 8 months and younger may take a special one-semester Babies Class designed to introduce both parent and child to Music Together. (This class cannot be repeated). Our Babies Class provides a safe and encouraging environment for parents to learn about the musical development of their infant. Music and activities in the class are designed with babies in mind, and families will have the opportunity to enjoy these musical activities at home. Classes meet for 30 minutes once a week for 16 weeks (fall and spring semesters) and eight weeks in the summer. Class size is a minimum of five children and a maximum of 12 children. This class is designed for parents/caregivers and their children. A child can attend from birth through age 5 developing musically as they experience nine different song collections with their families. By grouping children of varying ages, along with their adult caregivers and teachers, each child will discover the joyful world of music in a family setting. This approach fosters natural, family-style learning where younger children enjoy watching and imitating older children and adults, and the older children learn by leading as examples for the younger children. Babies four months and younger may attend the Mixed Ages class for free with their registered older sibling. Musical activities include singing, moving and dancing, chanting, listening, observing and exploring instruments. Each child participates at his or her own developmental level. Every semester includes a new collection of music with a wide variety of musical styles that both children and parents can enjoy. Families enrolled in this class have the opportunity to share these musical activities at home. The Mixed Ages class is 30 minutes long and will meet once a week for 16 weeks (fall and spring semesters) and eight weeks in the summer. Class size is a minimum of five children and a maximum of 12 children. The above Mixed Ages description applies to these classes as well, however they are held in a retirement, assisted-living or nursing home environment. These classes are a “win-win” for all, because regardless of age, spirits are lifted, learning across multiple domains is stimulated, and meaningful connections are made. Children and families, especially those without extended family nearby, discover the value of intergenerational relationships and become more comfortable engaging with older adults. Elder participants enjoy witnessing children’s joyful music-making and find a sense of purpose in being a part of young children’s learning, which combats isolation and depression. The partner facility is benefitted by offering a cutting-edge, high-quality intergenerational program to its residents. This is a parent/child class. Drums are not required. And have fun with a host of rhythm activities. Parents are welcome, but not required to attend. You will need a djembe drum for at-home practice. Guitar for Grownups is designed for parents and caregivers of children currently enrolled in a Music Together class. In this one-hour class, participants learn basic guitar techniques and selected songs from the current song collection to further enhance their Music Together® experience and to make even more beautiful music at home and on the road. The class is for beginners who have never held a guitar, as well as for those who know a little guitar. Class size is a minimum or for and a maximum of eight. This is a 10-week course beginning on the third week of the fall and spring semesters. Music Together art & logo design ©1992-2019 Music Together Worldwide.